Ships tomorrow if you order in the next 20 hours 39 minutes. Get versatile antioxidant protection for healthy cells and a healthy body without having to worry about common allergens. 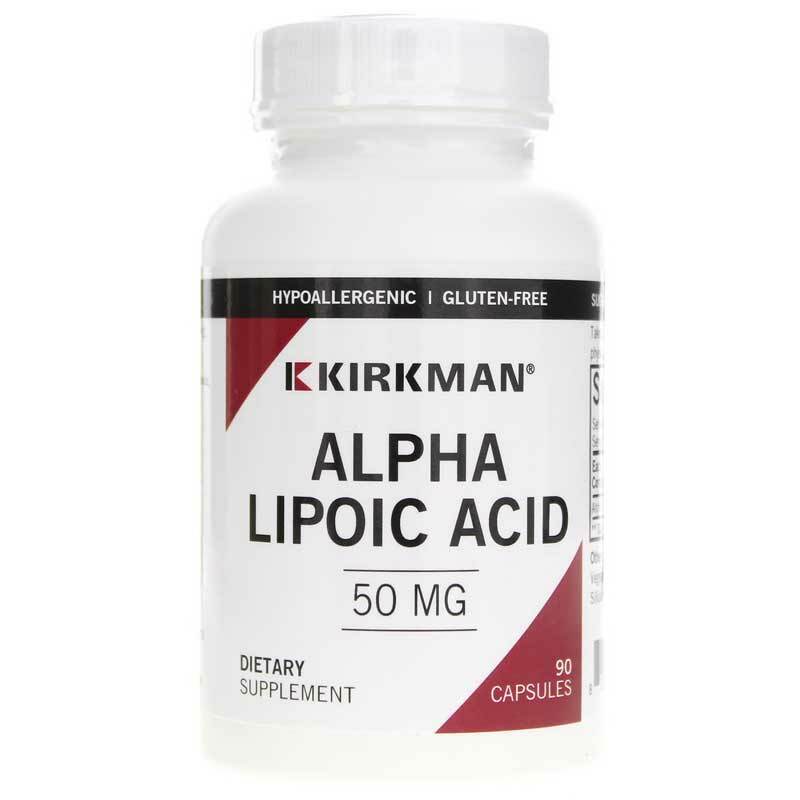 Get Alpha Lipoic Acid 50 mg from Kirkman. Kirkman's hypoallergenic alpha lipoic acid contains 50 mg of alpha lipoic acid in each hypoallergenic, plant-cellulose capsule. 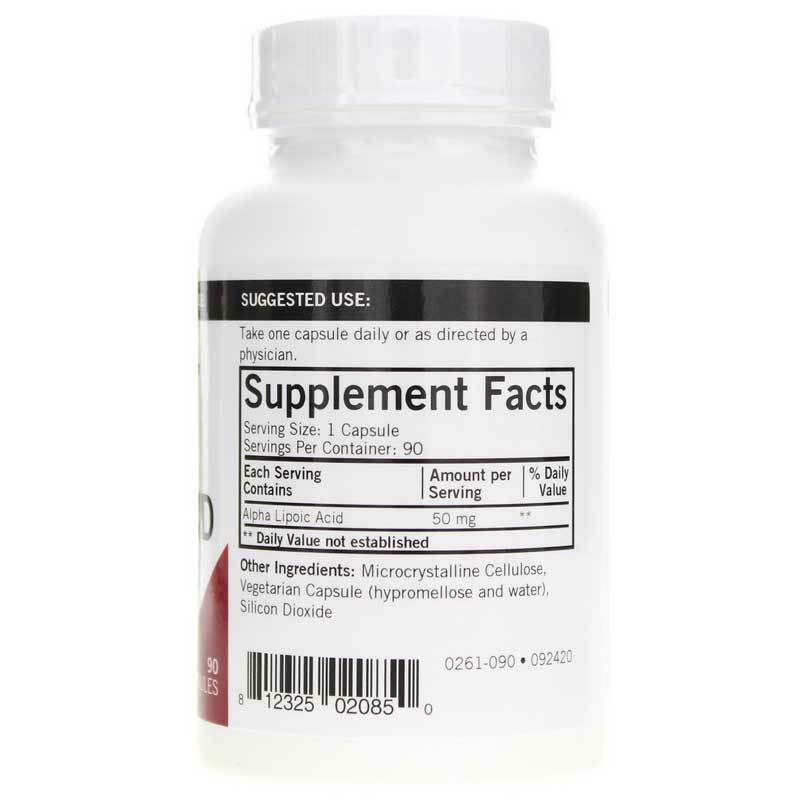 Alpha lipoic acid is a metabolic antioxidant that contains sulfur and is naturally synthesized in the body to combat damaging oxidative stress that can harm cells and tissues. Not only is it an antioxidant itself, but it also supports production of glutathione, which aids detoxification processes in the body. Because lipoic acid is both fat-soluble and water-soluble, it's able to provide antioxidant protection to a wide range of tissues and systems within the body. 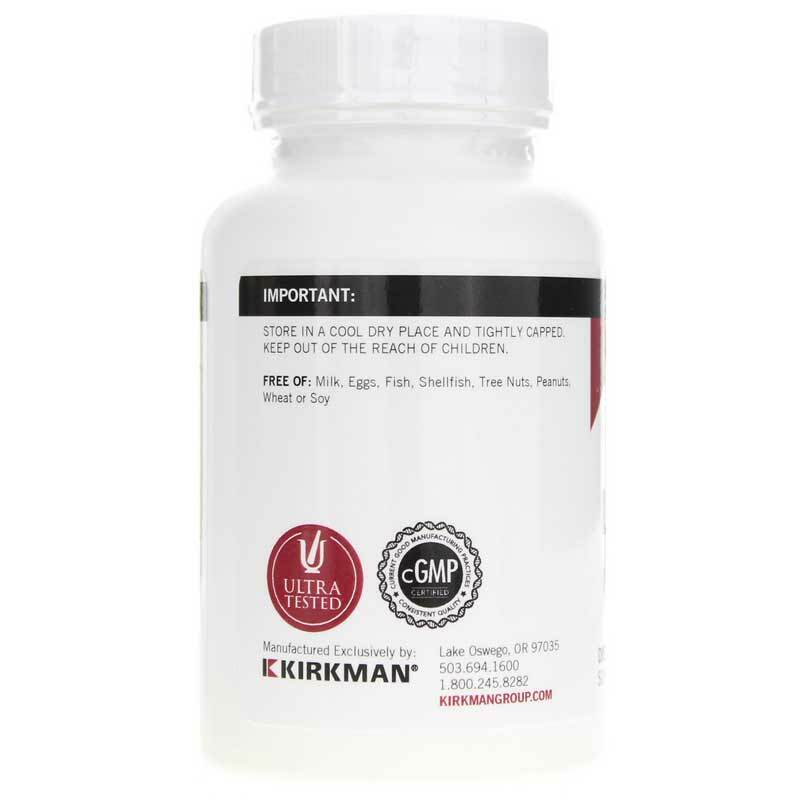 Ideal for individuals with allergies and sensitivities, Kirkman's hypoallergenic alpha lipoic acid is encased in plant cellulose capsules for a product that is free of sugar, starch, soy, wheat, casein, gluten, milk, corn, preservatives, yeast, gelatin, flavorings and colorings. And for ease of use, they can be swallowed or the contents of the capsules can be mixed into food or beverages. Get antioxidant support without worrying about allergens. Order hypoallergenic Alpha Lipoic Acid today. Ingredients:Plant Cellulose, Alpha Lipoic Acid, Silicon Dioxide, Plant Cellulose Capsule. Contains NO: Sugar, starch, soy, wheat, casein, gluten, milk, corn, egg, preservatives, yeast, gelatin, flavorings or colorings, peanuts, tree nuts or fish.